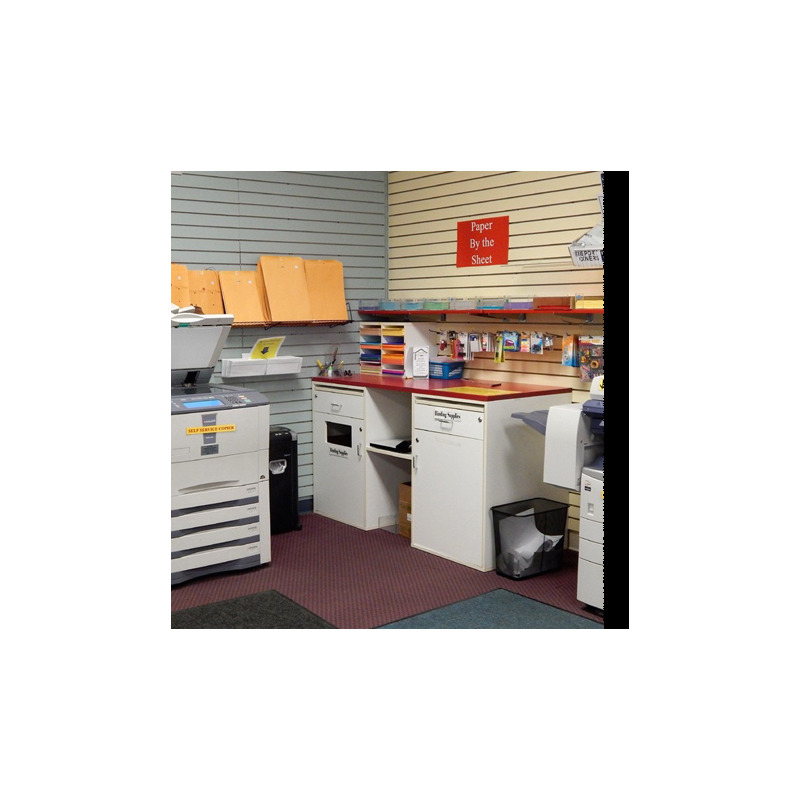 Copy center is the space required at every college, organization, state / legal institution: we often need to get some copies and printouts. Printing one sheet costs approximately $0,06, its copy is about $0,08. Thus, printing ten works of 100 sheets volume (or 20 essays 30 pages each) can result into roughly $100. On the average, you can expect $3,000 - $5,000 net income per month. The payback period usually results in 3 – 4 months. You can consult with an expert by the phone. - office supplies: you can sell even low priced paper, i.e., attracting more potential customers to order other available services later. The students usually demand even more services: photocopy, printing, laminating, and hardcover. In addition, your copy center can provide less typical services like manufacturing various greeting cards with pictures of animals or flowers, calendars, wedding invitations, posters, etc. You can work with the event managers and professional photographers to raise the demand for your business. A separate kind of activity may be providing the possibility of transfer a desired image on a T-shirt via printing services. Clients always have to be treated friendly and benevolently. Low initial capital, low raw material costs, and product differentiation might sound as the attractive sides of this particular business. 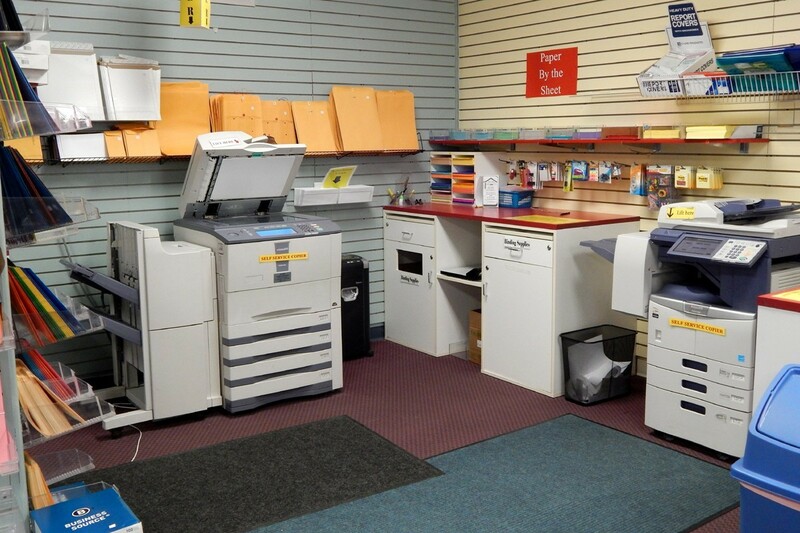 First of all, you need to possess all necessary equipment to launch a copy center: a computer or laptop, laser printer (it is expensive but more cost-effective), inkjet photo printer and a bookbinding machine. You can buy a multifunctional device (instead of the last three units), which will save money and space. When the flow of people will increase, you will be able to buy separate equipment because simultaneous scanning and copying can be required. The furniture won’t cost much at all. The overall expenses can result into $5,000. That is a trifle in comparison with other types of business. The first advantage of this start-up is its cost-effectiveness. The most trendy manufacturers are WorkCentre, Xerox, DocuMate, and Phaser. Their quality was tested throughout the time. you will also have to pay for some software solutions – only licensed software is allowed at official copy centers. This kind of business doesn’t demand any raw materials except for A4 paper. Once in a month you will have to pay about $100 for paper and other possible consumables. Copy center is that kind of start-up where almost no raw materials are required. Anyway, they are all cheap, and you don’t have to invest a tremendous amount of money into this category. · paper sets - $25 - $35 per unit (or you can buy special sets of ink and paper for select). 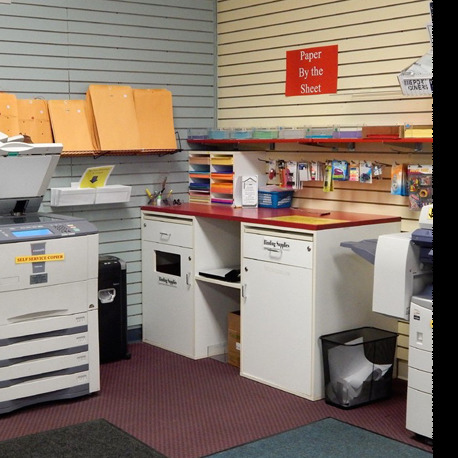 There is an increasing number of people who often look for copy centers that provide photocopying and printing services. Starting a copy shop is therefore a good idea if you are looking for startup business ideas and you are looking for innovative business schemes. The best thing about starting a copy store is you are not required to have special skills and a specialized educational background to provide colour copying and copy services to your clients. You just need to have sufficient startup cost copy shops require. Next, you have to decide on a location of your potential copy center. As mentioned above, it may be an educational institution (school, college, university), large store, or the territory occupied by many different organizations. It is strongly recommended to choose the first-floor thanks to its access and attendance rate. To begin with, the area of the copy center should be no less than 15 - 20 m. sq. In order to fit at least a couple of people at the same time. The rent of the space will amount to $200 approximately. Technical requirements. Space needed: 50 - 200 square meters would be perfect. The main sanitary requirement is the lack of moisture and dust: it may damage your expensive (and not really) equipment. If you decide to open a larger and more professional copy center, your expenses will most probably reach $100 instead of $5,000. A lot depends on the space rent, quality of equipment and furniture. 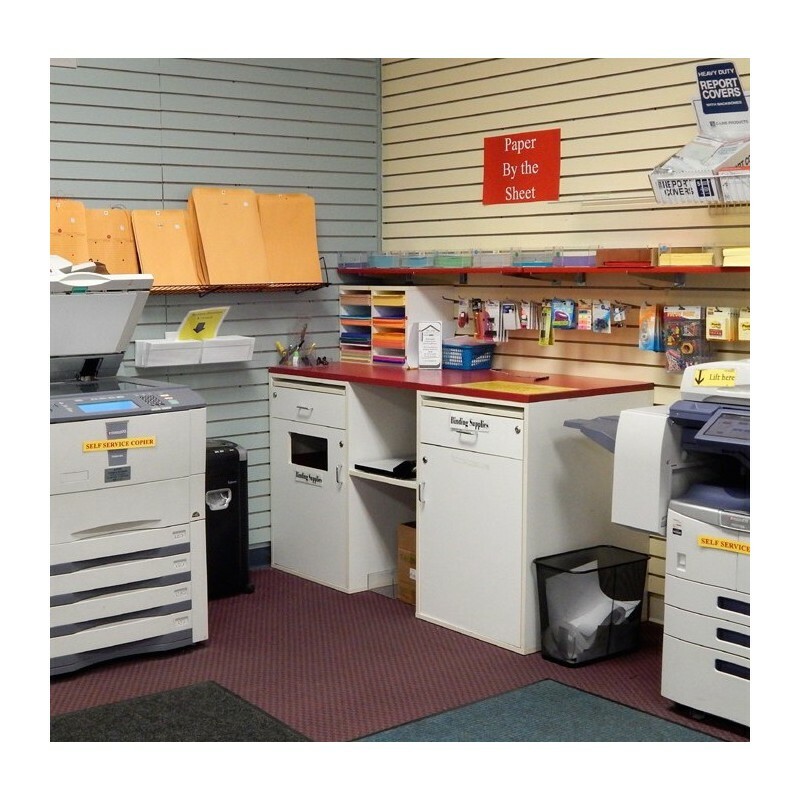 The best locations for a photocopy shop include near or inside schools and universities because most of your prospective clients are students who look for copy stores that can provide bulk copies and color copies for their school lectures and requirements – you can also checkout places near to the court, railway station, notary office, shopping malls. You can also choose to establish your photocopy shop in establishments where people will more likely need to submit photocopied documents such as in government buildings and agencies. On the average, you can hire five to ten persons to work for your copy center. Once more, it all depends on the space and number of offered services. At least two designers, few sales managers, and a courier is demanded to run this private enterprise successfully. Advertising expenses might reach the mark of $10,000. What is a business recipe? BIZONE Recipe – is an appropriate equipment package from suppliers worldwide, wrapped into a successful business model, proved by successful entrepreneurs. No, the business recipes are absolutely free. You have access to numerous suppliers and experts in your industry. You're free to use the described business model without any royalty fee. How can I get quotes from suppliers? Simply contact us, and describe the business you plan to open. We will send your inquiry to hundreds of suppliers. Those, who are interested – will send you their quotes for suggested equipment package. What does it cost to me? It's totaly free for you. How do I post my own business recipe? If you posess an expertise in your industry – we encourage you to post your own business recipe. Describe the business, equipment list, and send it to us in any format. We will help you to publish it. 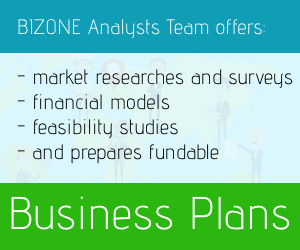 BIZONE Recipe – is an appropriate equipment package, wrapped in a successful business model.